Arburg will be presenting the complete range of plastic parts production – from one-off parts through to high-volume production – at the Chinaplas 2016, to be held from 25 to 28 April 2016 in Shanghai. 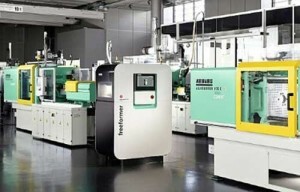 At Stand E1G01 in Hall E1, a Freeformer will demonstrate the efficient additive manufacture of design samples and prototypes based on the example of a “pill splitter”. The same product will be manufactured in high volumes on an electric injection moulding machine . A high-speed IML thin-walled application will also be on show: a “Packaging” version of a hybrid Allrounder will produce four IML containers in a cycle time of around 3.2 seconds.